In a bookshop, perusing the travel books. Well there are plenty of books about people who have been many different, distant, far-flung exquisite and exotic places. There are also a few books by writers who haven’t been anywhere far off, exotic, decent or even interesting. I suppose the point being that they have written about places no one would ever dream of going because they are so dreary, and this fact alone makes them of interest. 1) -Travel writing does not appear to be about one person going many different places. There are many different books by many different authors, but each person only ever seems to have been one place. Many books also concern the same place. You wonder if the various authors didn’t get a reduced group travel rate and all go together. The only difference between the books seems to be how the various authors got to where they were going and what they did when they got there. 2) -There are those travel books telling the reader about the author’s travels and there are those travel books telling the reader what to do when he or she gets to destination. (guide books for want of a better name) In either case, how can you be sure that the author has actually been to the place they have written about? 4) – If you don’t like where you have travelled to by book, it is easy to close the book, put it back on the shelf, and choose another journey. Far simpler than actually having all the trouble and expense of going somewhere you don’t like. Why on earth did you go somewhere you didn’t like in the first place? You should have read about it before you went. I have noticed that All travel books have prepositons in the title. 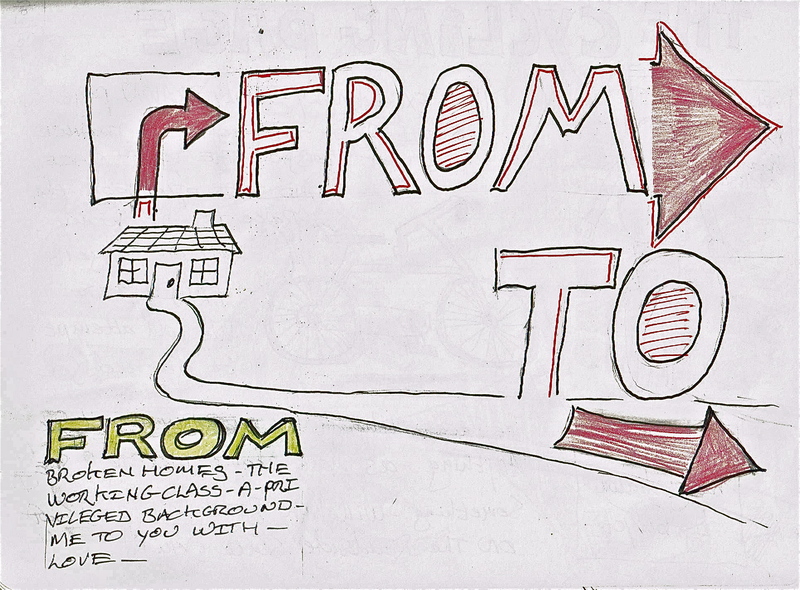 Prepositions are those small words that situate us in time and space or move us along. Without prepositions we would be nowhere. The most popular travel preposition seems to be AROUND – implying that you intend to come home and your travels have been no more than going round in a large circle. Personally speaking, this preposition does not imply any depth or discovery; it is merely describing how a person went around the edge of something without actually bothering to go in. 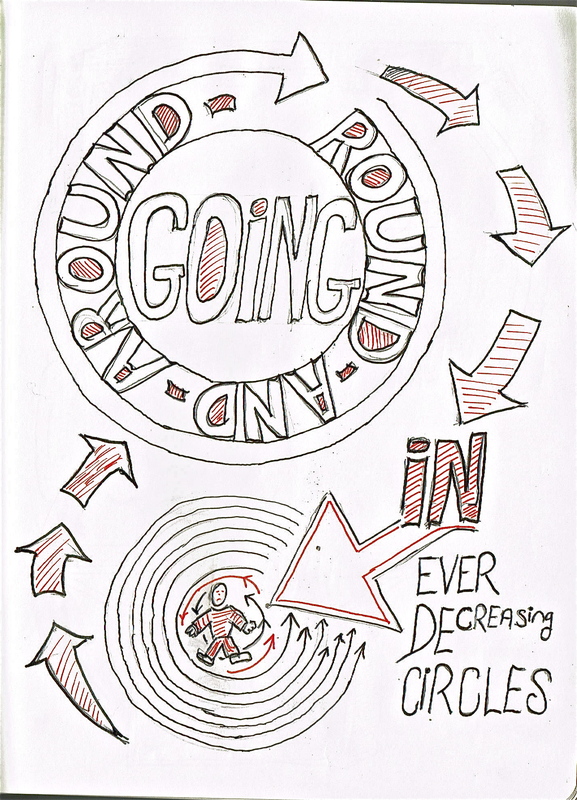 AROUND also implies that you have been round in a giant circle, whereas ROUND has some idea of perpetual motion, the idea of going round in circles, some of them ever decreasing, much like our ever shrinking world. TO – meaning that you go somewhere – it doesn’t necessarily imply that the person comes back, because they haven’t gone AROUND. Travelling TO somewhere meaning that you are not going to talk about your destination, but simply about how you got there. Either a long litany of highly unseaworthy boats and steam trains or a simple voyage of self-discovery (presumably on a long train journey). All those travellers/explorers/adventurers who go TO places have always come FROM somewhere, though they only tend to talk about going to. However COMING FROM somewhere is at least half the journey FROM, could be a simple departure point in one of life’s journeys or for journey of life itself. There are those places that are easier to COME FROM than others – from royal lineage or from a privileged background as opposed to from the working class or from a broken home. There are those people FROM places that are happy departure points and others FROM places where COMING FROM is more a case of GETTING OUT – escaping a destinythat you have not chosen. Travel writers always claim to be authorities on the places they write about. The common title seems to be “The Insider’s Guide” – Reading such a guide, I would assume that the writer has the same thorough, “inside out” knowledge that only a native might possess. Unfortunately, from my experience of travel guides, most writers possess a very “outside in” knowledge – an external perspective that comes when insiders’ guides are written by people who are never truly on the inside. 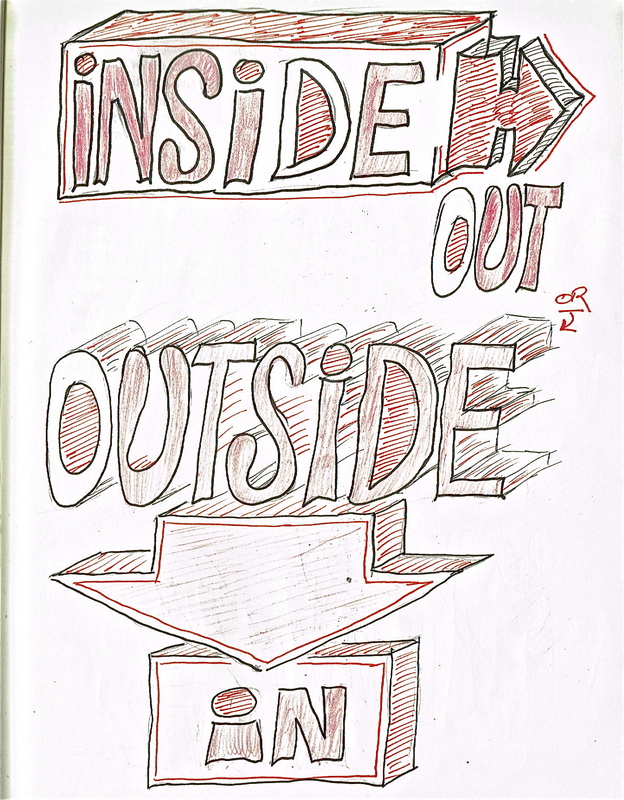 No matter where we go, we are always outside in and perhaps even a little back to front. That moment IN-BETWEEN when you leave one place and end up somewhere else. The journey itself, which might actually be more important than the final destination. 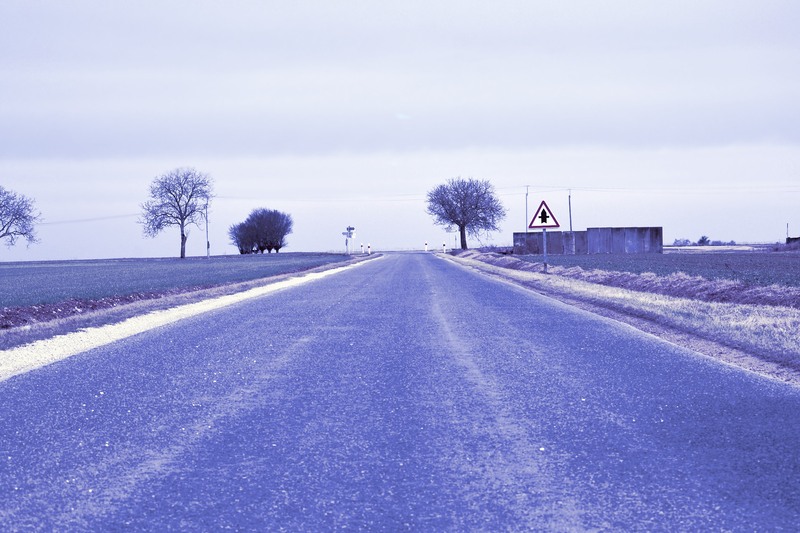 Are you travelling to get somewhere or are you travelling for the sake of travelling? Learners of English have the greatest of difficulties with that tense we call the Present Perfect and, in particular the difference between BEEN and GONE. For most foreigners the idea of BEEN is that you are still there and the idea of GONE means that you have been an have returned. I suppose we could modify and even resolve this dilemma with the addition of the inquisitive adverb EVER. Though the interrogative phrase “Have you ever gone to India?” is not correct, it certainly resolves issue of being there or having just got back and the question “Have you ever been to India?” is very clear. Though within the minds of the English language novice the “have you ever been?” gets confused with the idea of “did you go?” As a teacher of English I am always at pains to point out that the present perfect applies to one’s entire life, from the moment that you were born to the moment the question is posed, because you haven’t died yet, meaning that you are not yet dead, meaning that you are still in the present, whether it is perfect or not. The first conditional, meaning that in an indefinable future, if personal finances and family circumstances allow, I will, may or might finally go somewhere. 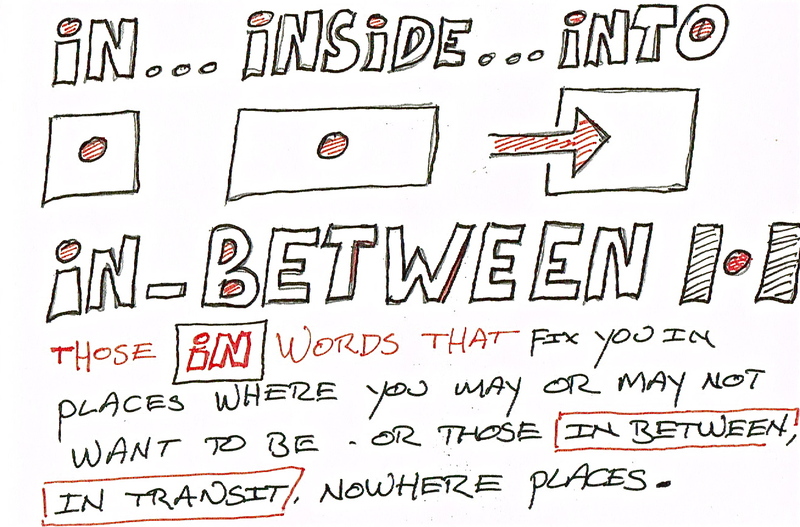 A rewriting of the first conditional for the would-be traveller who knows that they never will. The phrase of the traveller who will never reach their desired destination. The mere use of a preterit form, implying that they have abandoned all hope of ever going anywhere. Implying that the traveller has been somewhere but not the place that they had originally intended to go. The word of the traveller looking for a plausible excuse not to go somewhere. Travelling, therefore, is going somewhere else to have a new experience and then, at some point, come home. Farting around Northern Italy on a Vespa – visiting typical Tuscan and Umbrian villages, popping in Renaissance churches, zooming round vineyards for a wine tasting, then eating in an authentic little restaurant and chatting fluent Cappuccino with the locals. I suppose you are going to leave simply from where you come from However most travel writers like to choose a symbolic departure point. Going from London to Paris, you might well leave from Trafalgar Square and end your journey at the foot of the Eiffel tower. Leaving from a symbolic departure point does of course entail some “pre-travelling” before you begin you journey. The choice of destination is actually not of paramount importance. If you are going somewhere though, it is always best to have somewhere to go. A final destination (of sorts) Whether you actually make it to your final destination or somewhere else matters little, just as long as you end up somewhere, anywhere or nowhere (even the last two are very valid and real destinations). It is important to have some vague geographical objective even if only to know which way to turn when you get to the end of the street. Would it much matter though if you had a last minute change of heart and chose to go in a different direction to that which you originally intended? If you are going round the world, you are going to come back on yourself anyway. My mum used to say that she “didn’t come up the Clyde on a bicycle.” Now there’s an interesting mode of transport for a fluvial journey. The means of conveyance to take you TO and FROM or FROM and TO very much depends on where you are going. Crossing the desert by camel, travelling round France in a 2CV car – but do we really want to read about something so clichéd? Impossible, or incongruous transport for everyday journeys and incredible journeys using everyday means of conveyance. Motorbikes are very popular but what about travelling round France on a Camel or even coming up the Clyde on a bicycle? NOWHERE, SOMEWHERE ANYWHERE AND BACK AT SQUARE ONE. The whole point of travel books is to write about somewhere that no one has ever been before or nowhere that anyone ever goes, which is more or less the same thing, as most people don’t want to go nowhere. At this current moment life is going nowhere. Therefore, some reflections on this strangest of places. It cannot be said that those people who never go anywhere, actually go nowhere, because nowhere is somewhere. It is a town, a region, a country, with people living in the middle. It is also a very alluring destination. Nowhere-to-be-seen. If Nowhere, is ‘”to be seen,” there is obviously something worth seeing. Moreover, judging by the number of people who are going to Nowhere, fast, it sounds like the place is a very popular destination with everyone just eager to get there. For the past few months my life has been going Nowhere and dragging me along with it. I am still on the road to Nowhere as I write, and the road seems to be never ending, because it has not got anywhere at the moment, even if it leads to Nowhere. Were there a road to Nowhere, it would be a long desert highway with telegraph poles, tumbleweed, vultures and dead dogs. There would be turn offs to non-descript non-places. We would cruise gently along in a 1960 Chevy Impala convertible, stopping to buy gas from toothless, dungaree-clad “old-timers” in tumble down gas stations with a single pump and a rusting Coca Cola sign hanging precariously from the front porch and ominously creeking as it swayed in the desert wind. We would stop off for the night, or possibly forever, at the Bagdhad Café or the Bates Motel. Had I the choice of how to get to Nowhere, I would go by train. The station concourse, with its high vaulted iron roof, the fruit of ingenious and imperial ancestral, engineering grandeur, is like the inside of a huge whale, devouring the millions of errant souls. Anyone and everyone going Anywhere, Everywhere and Nowhere, because they are all looking for Somewhere, but they haven’t found that final resting place because they always come back to Square One. This station has one particularity, there is no ticket office. You cannot buy a ticket to Nowhere and if you don’t want to go to Nowhere, you can go Somewhere Else, which is anywhere that isn’t Nowhere, and you cannot buy a ticket to Just Anywhere. Tickets correspond to precise destinations, but here there are no destinations. I choose a train. The Steward shows me to my compartment and off we go. I have no bags. I have left them in the vast and never-ending complex of left luggage lockers. Seasoned travellers never bother with bags when they travel from the station at Square One. No point bothering yourself with the heavy and cumbersome baggage of life when you know that you’ll soon be back at Square One. Besides, you tend to pick up quite a bit of baggage on the journey, which you then have to find room for when you get back to Square One. This of course reminds me of the other curious feature of the station at Square One – the vast market outside the station, where recently returned travellers try to sell all they have accumulated on previous journeys, but they never manage to sell any of it. We all have enough bags to lug around or look after without burdening ourselves with someone else’s. So, I sit in my sleeping compartment, preferring solitude to the company and life stories of my fellow travellers. What is there to tell though? We’ve been Anywhere and Everywhere and Nowhere, and always ended up back at Square One. Posted in TRAVEL and tagged travel. Bookmark the permalink.